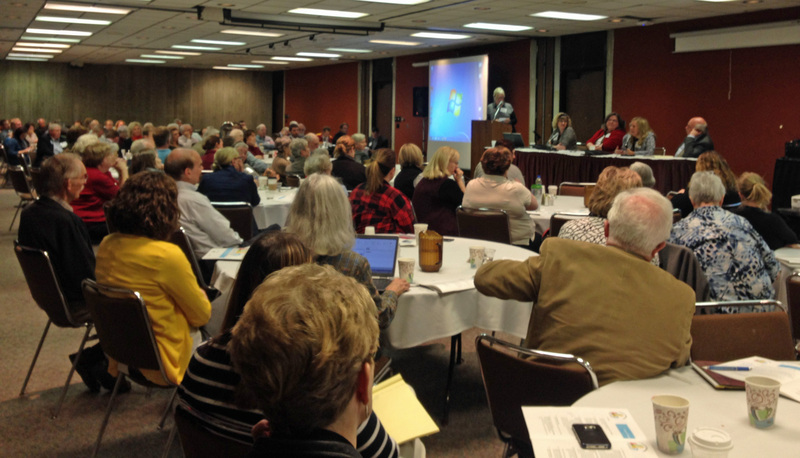 In an effort to address key determinants to homelessness, 100 AMOS leaders assembled in Ames with candidates for state and county office to secure commitments around their agenda. Candidates who participated included Story county Supervisor Rick Sanders (incumbent), Linda Murken, and Josh Opperman. Also in attendance was Representative Lisa Heddens, from Iowa House District 46. Leaders succeeded in gaining commitments from the Supervisor to work with AMOS to create a 'Housing First' program in Story County to address the needs of residents with chronic mental illness and housing insecurity, including dedicated county staff-time and resources to the planning effort. Rep. Heddens committed to working to increase funding for mental health services in the upcoming legislative session.